I refer to your letter dated [DD MMMM YYYY]. 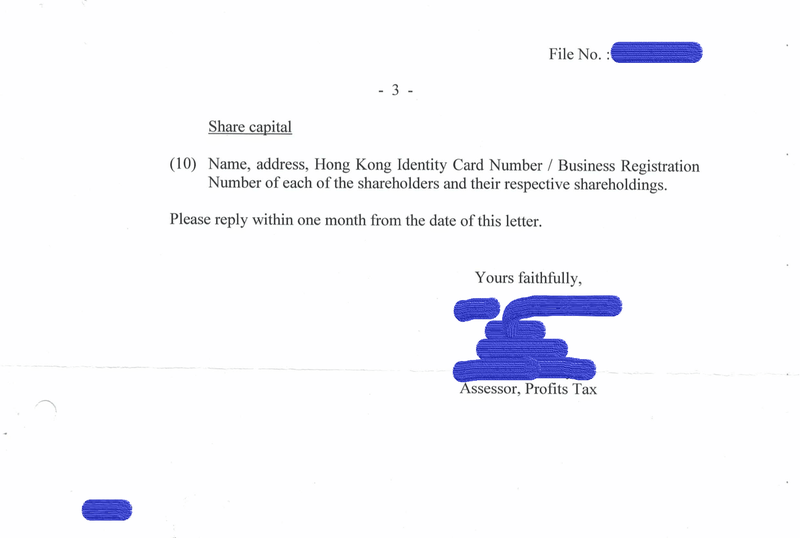 I, on behalf of the Company, would like to apply for an English to Chinese translation of the letter dated [DD MMMM YYYY] as the director of the Company are not proficient in English. 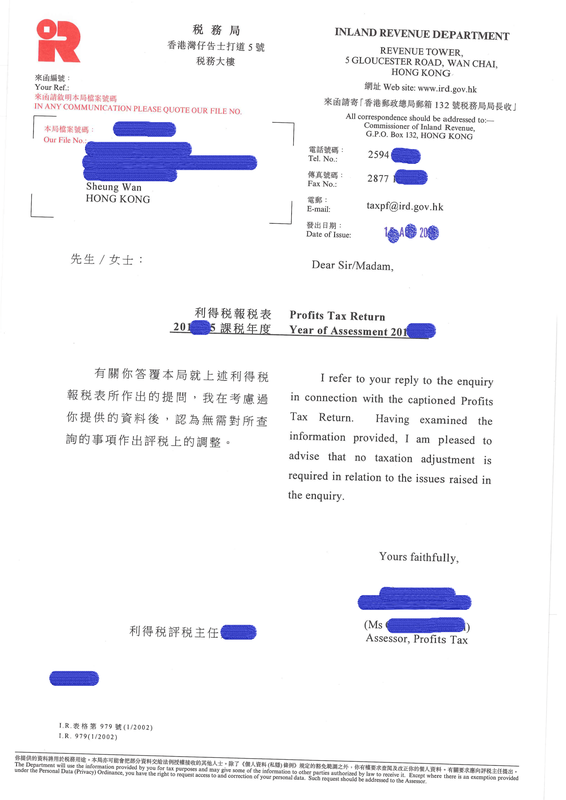 2nd time apply can apply for additional 3 months' extension. 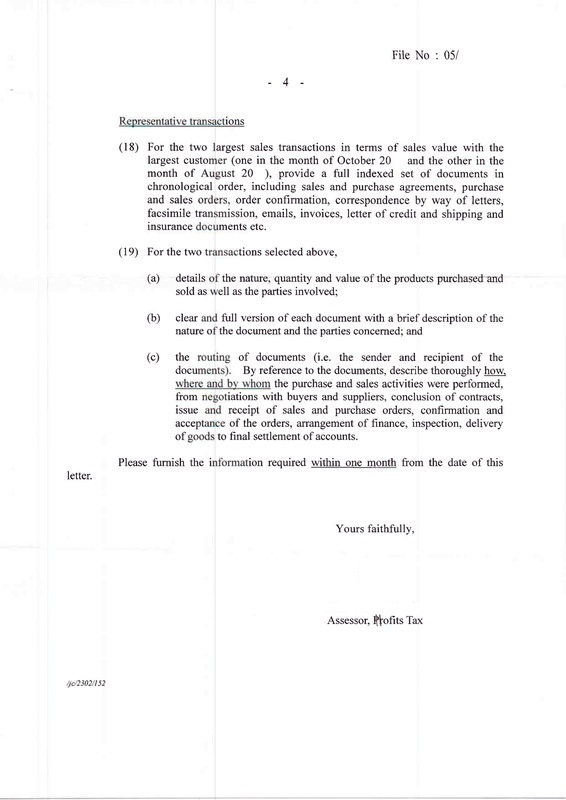 Plus original reply deadline 1 month, totally you may get half year to reply the offshore claim query letter. In our experience, usually you can successfully get this half year to reply. 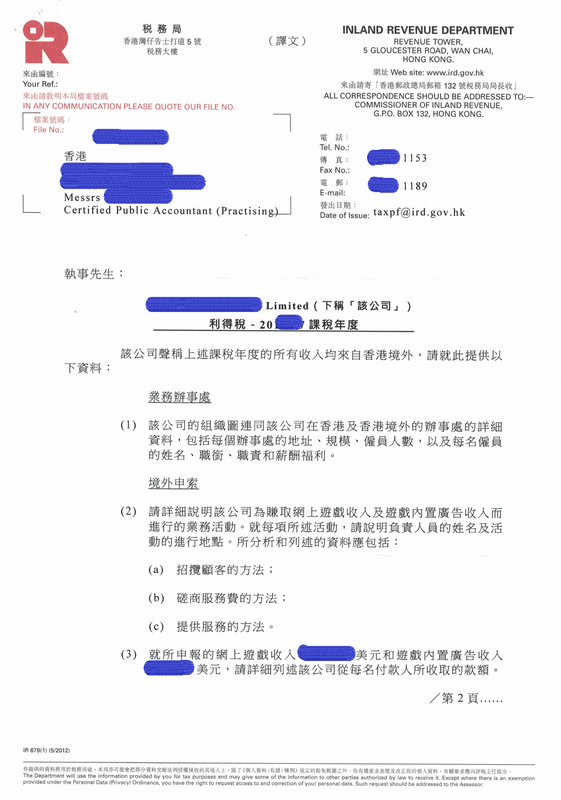 But if you still can not finish the reply letter after half year, we suggest you call assessor's direct line as soon as possible and orally present your difficulty. 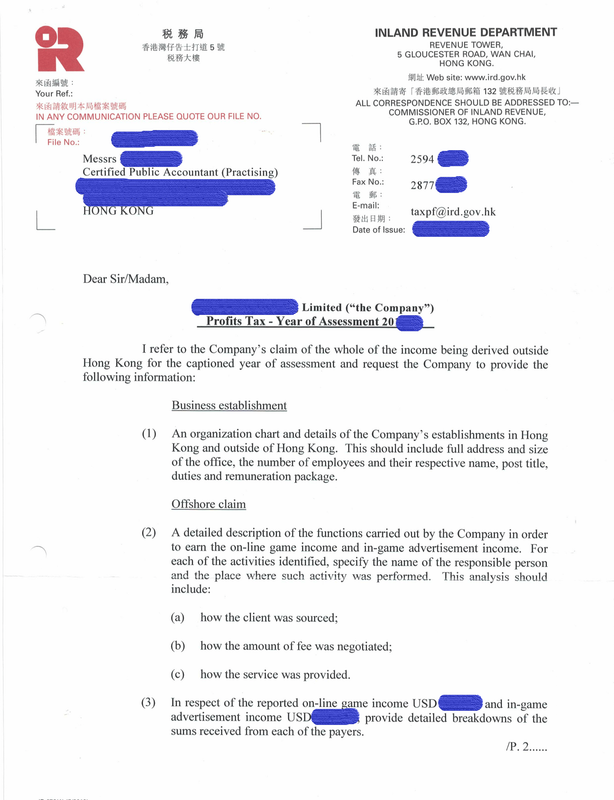 But in some cases, especially for the company having onshore and offshore business simultaneously, the offshore claim query letter may be very short, only 2 or 3 sentences asking the most critical offshore concerns of the offshore business. 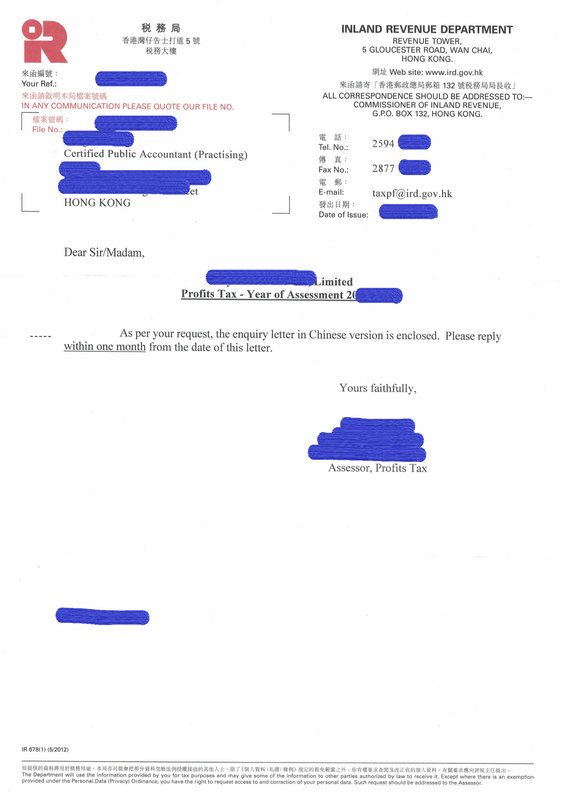 In such circumstance, the assessor may want the reply very soon, so that should do reply within one month. 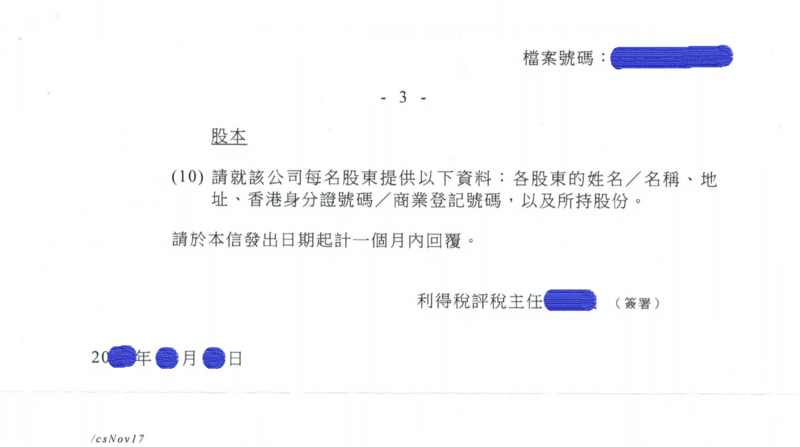 Question 1: Does having employees and offices located in Hong Kong directly orient to offshore claim failure? 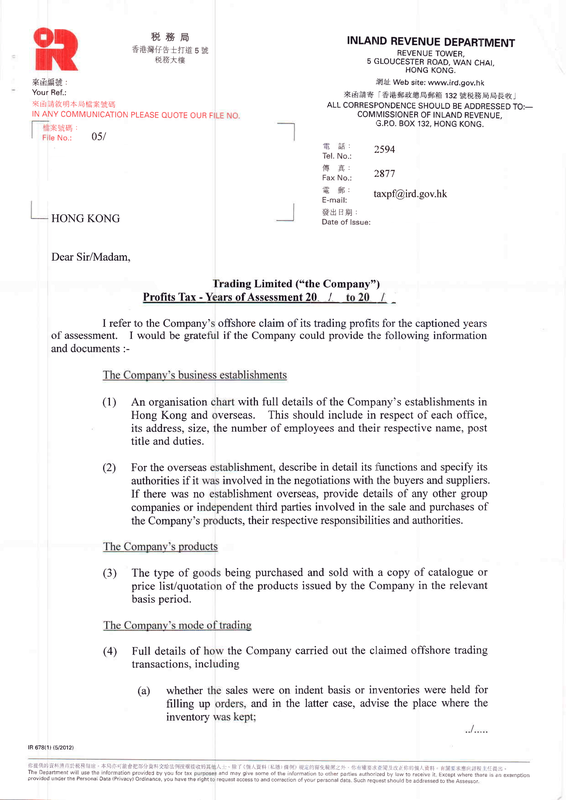 this Hong Kong sourcing company may successfully make offshore claim. 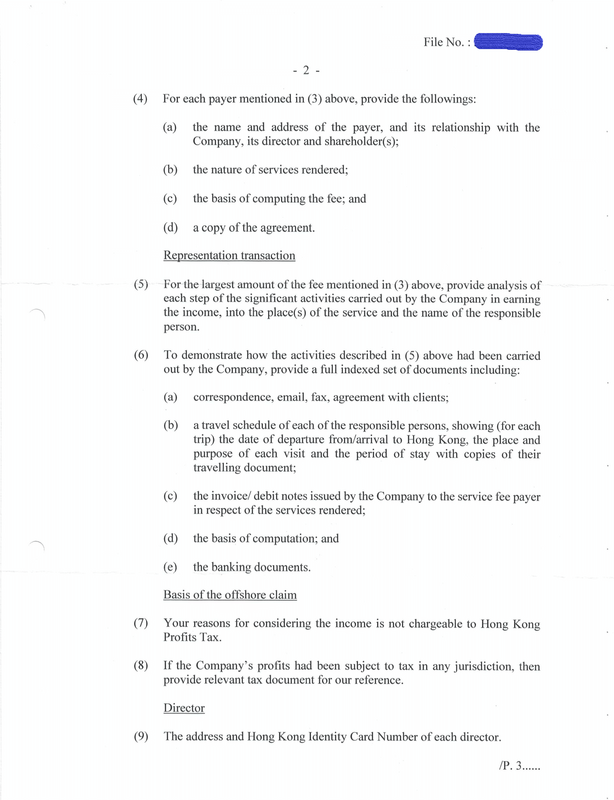 Also the group needs to comply with Transfer Pricing rules. 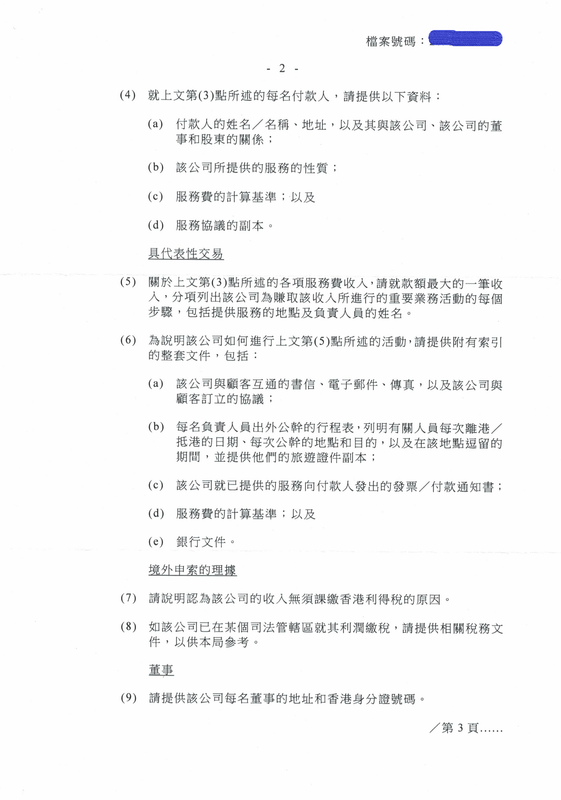 Question 2: for trading business, what's the tax treatment if only the sales is effective in Hong Kong while the corresponding purchases is effective outside Hong Kong? 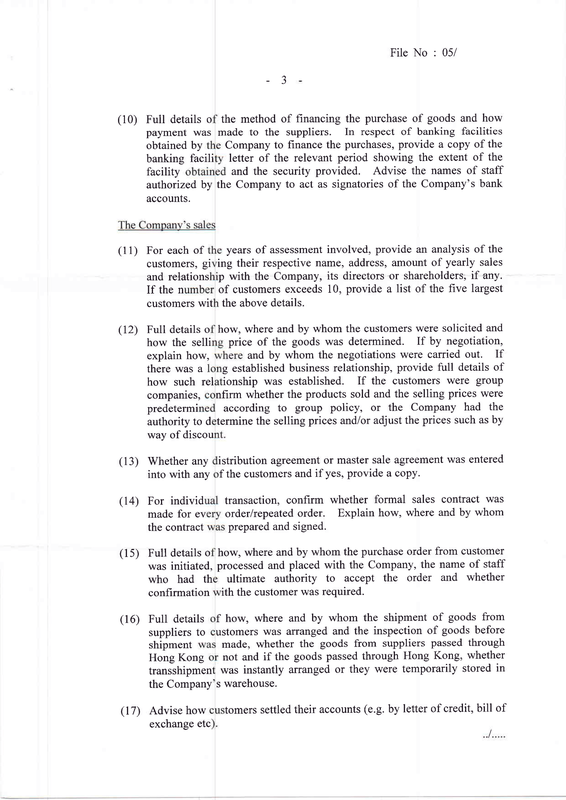 Answer 2: the whole trading profit, i.e. 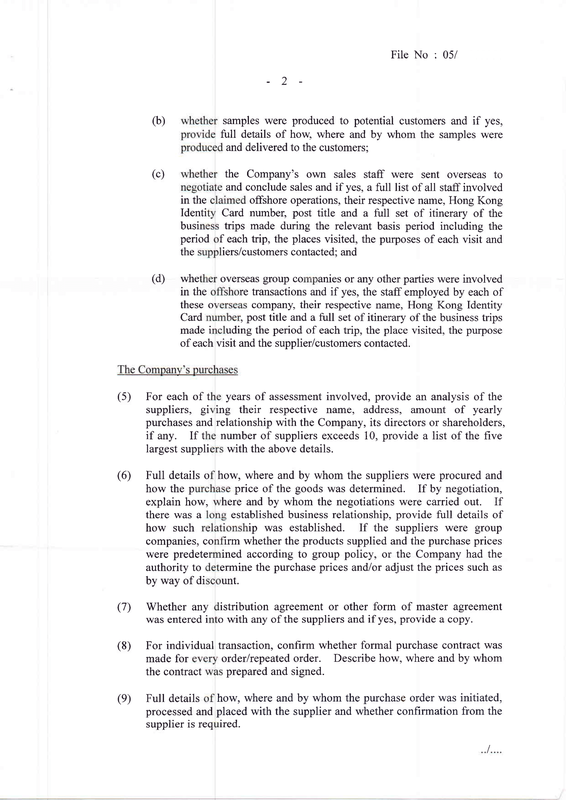 100% profit, will subject to Hong Kong Profits Tax, when either sales or purchases is effective in Hong Kong. 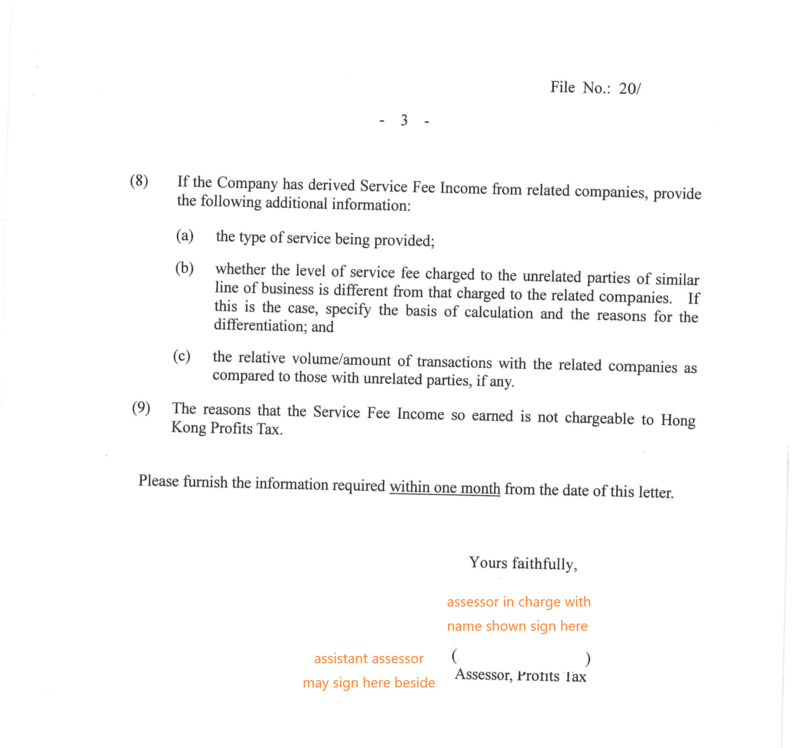 There is no treatment of 50% subject to Hong Kong Profits Tax. 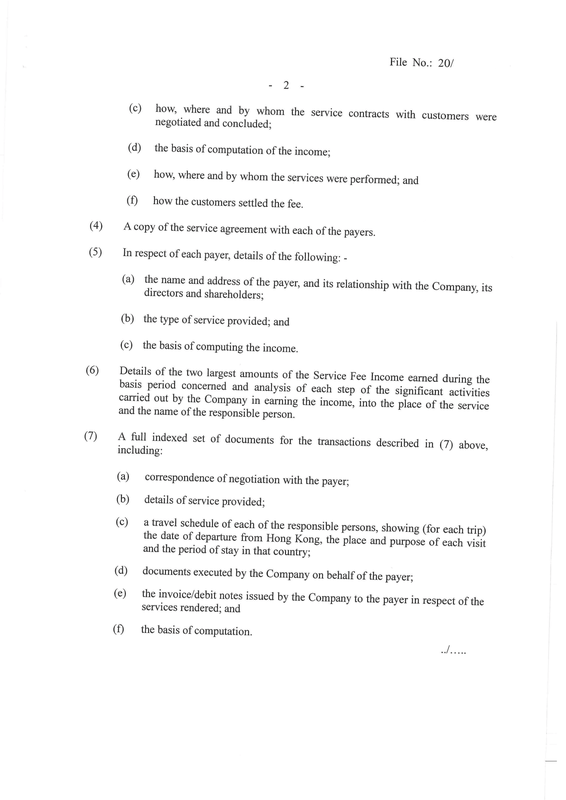 source – interest income – gain on trading of offshore securities/derivatives/held-to-maturity debt securities – unrealized gain on overseas investments – gain on disposal of available-for-sale securities – whether long term investment – section 14(1) of the Inland Revenue Ordinance (‘the IRO’). 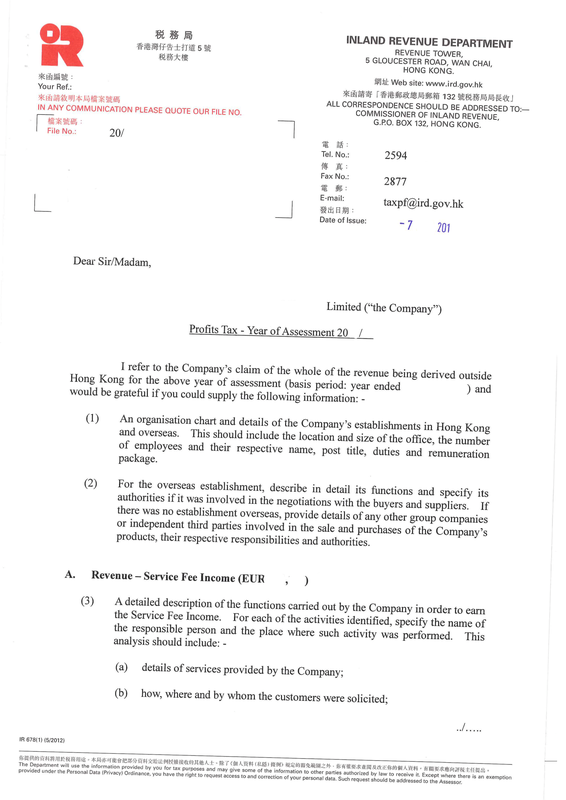 sources of the trading profits and commission income — whether the "profits arising in or derived from" Hong Kong - claim for deduction of expenses related to the dismissal of a director — whether the expenditure incurred "in the production of profits" — the validity of additional assessments - whether the additional assessments involve "re-opening of any matter which has been determined on objection or appeal for the year" — application for leave to rely on further grounds — whether the proposed amendments are sufficiently intelligible with adequate particularity - ss 14(1), 16(1), 50, 60, 64(3)&(4), 66(3), 68(4), 68(9) and 70 of the Inland Revenue Ordinance ("IRO").